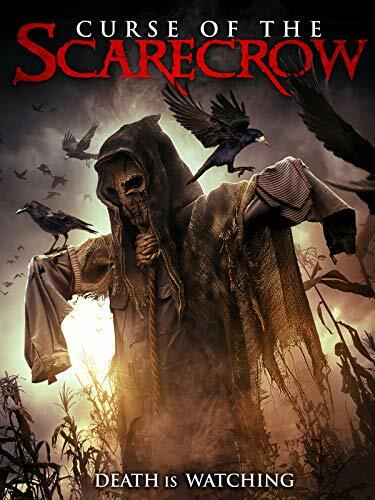 With a title like Curse of the Scarecrow I wasn't expecting a horror film that would have a bit of a brain about it, indeed I expected some low budget generic horror. This met my expectations in that regard, it was almost so bad it was good, almost but not quite though. This is a low budget indie film, I have no problem with that at all. However that doesn't really excuse the lack of imagination that has gone into many areas of this. There are so many horror film tropes here that I couldn't help roll my eyes on occasion. Characters splitting up for no reason happens multiple times and it rarely makes sense. The worst example is someone who wants to go and drive to the nearest town to get help for the other two characters who will be left behind at the farm house. That would be fine if the car was a distance away, yet it is literally ten paces from the front door, I have no idea why all three couldn't have just gone to the damn car, especially when not long previous to that scene they were already in the car and already aware of the danger they were in! It just felt like bad writing. Of course adding in another trope the car wont start, was all so predictable in a frustrating way. Of the killer itself. I can't really recall a lot of films that feature a scarecrow as the antagonist, though that isn't to say I haven't seen plenty that do have them. I didn't mind this movie monster but it isn't really utilised in many interesting ways. On at least two different occasions characters are actively looking for the monster yet upon seeing a stationary scarecrow pay it little attention, this was just baffling to me seeing as that was exactly what they were seeking in the first place. The body count isn't huge but there's a handful of victims, mostly these are dispatched in a way that is unsatisfying with the scene usually cutting off before the kill shot occurs. This even feeds into the resolution itself with reaction shots all we get rather than any real ocular gratification. This isn't to say Curse of the Scarecrow is completely without merit. There are a couple of good scenes, such as an early one of a horny couples love making getting rudely interrupted. That scene felt like something out of an eighties slasher and was pretty fun. Then there is Tim Freeman who plays local farmer Dean, he gives a wonderfully understated performance. While it was a shame he got so little screen time I enjoyed every scene he appeared in. I also enjoyed the predictable yet fun ending. That's really the problem with this though, it is all nothing new, it copies the tropes of the genre without adding anything new or exciting. 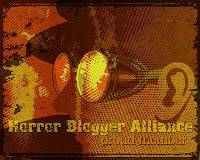 It is a competently made horror but it is lacking in the areas it needs to not be lacking in. The camera work is dependable if unexciting, the editing is fine enough, as is the sound, but there is no magic to be found here. I would be lying if I said I found my time with Curse of the Scarecrow to be a huge waste of my time. There are occasions where it does become quite fun, but this only happens in patches. This does enough to flow together fine, with the side plot explored more deeply and more energy given to the killing scenes this would have benefited. As it is it's ok, just nothing special at all. Curse of the Scarecrow is to be released by High Fliers Films.